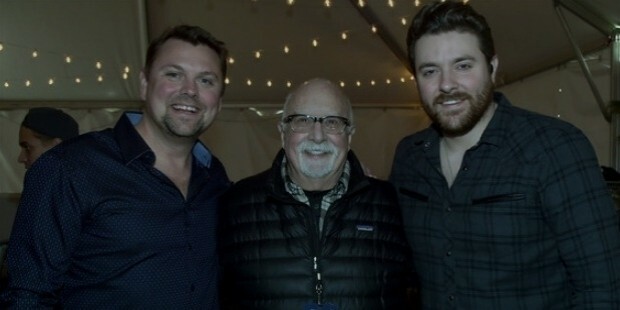 Chris Young is known as “one of country music’s most reliable hit makers” (USA Today), and has accomplished more in a short span of time, than some artists do in a lifetime. Already a Grammy-nominated recording artist, he is a dynamic live performer, an international ambassador for his genre and a talented songwriter. Chris was born on 12 June, 1985 in Murfreesboro, Tennessee. He showed an interest in music from an early age. Richard Yates, his grandfather, was a performer on the Louisiana Hayride. He attended school in Tennessee. Chris’ interest in music led him to perform in various children's plays. He was also a part of his high school choir and played at local clubs. While attending college, Chris continued to tour, performing in more than 150 shows. At a concert in Arlington, Texas, he was approached by a fan who encouraged him to participate in the music reality show, Nashville Star. Chris auditioned in Houston, Texas, and won the show in 2006. Following this, Chris signed with RCA Records, Nashville, and released his self-titled debut album in 2006. With four albums to his credit, Young plays a powerhouse show packed with hits including chart toppers “Gettin’ You Home”, “The Man I Want To Be”, “Voices”, “Tomorrow”, “You” and “Who I Am With You”. He has amassed six #1 singles, and seven Gold/Platinum certifications. 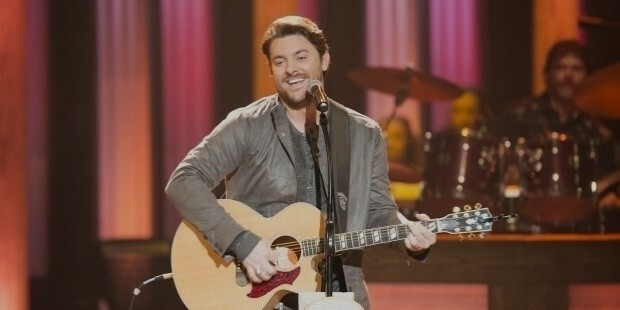 In 2013, Young was a part of the CMA Songwriter's Series, which was showcased in Dublin, Belfast, Paris and London, in an attempt to highlight country music in the media overseas. Young released his new single, "I'm Comin' Over" in 2015, from his fifth studio album. Chris has performed on shows like, ABC’s “Good Morning America” and “The Late Show with David Letterman”. 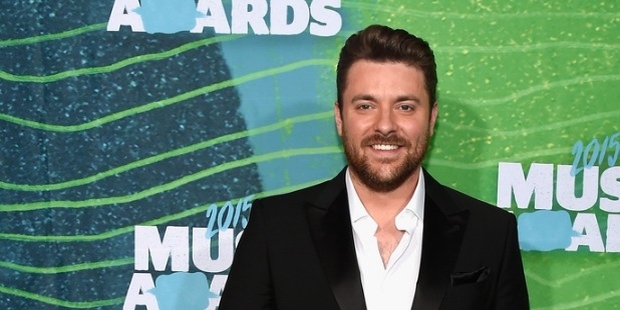 Chris Young was declared by several magazines as one of country's sexiest men. Young is devoted to various charity causes and orgainsations; Little Kids Rock, Stars for Stripes and St. Jude Children’s Hospital. Chris donated $25,000 and $5,000 from his fan club to the Nashville School of Arts. 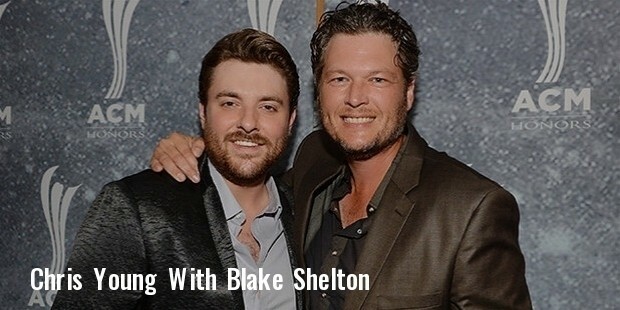 Chris Young is friends with Blake Shelton and Miranda Lambert. He wears a bandana on his wrist, which according to him keeps him grounded.